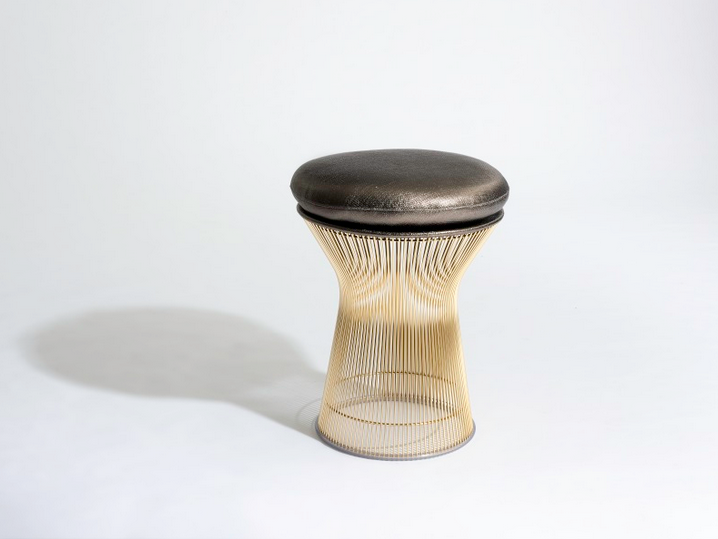 For its half century mark, the Knoll-Platner 50th anniversary goes gold. Warren Platner started his career as an architect working with top architects Raymond Loewy, Eero Saarinen, and I. M. Pei. He also designed the Georg Jensen Design Center and the Windows on the World restaurant at the World Trade Center in New York. He enjoyed great respect as an architect but when he began working with Knoll, his status elevated to the next level. In 1966, he personally pioneered the complicated production technology that allowed Knoll to fabricate his multi-rod collection of chairs, stools and tables. He always wanted the collection to feature gold-plated steel rods but at the time, the technology didn’t exist. 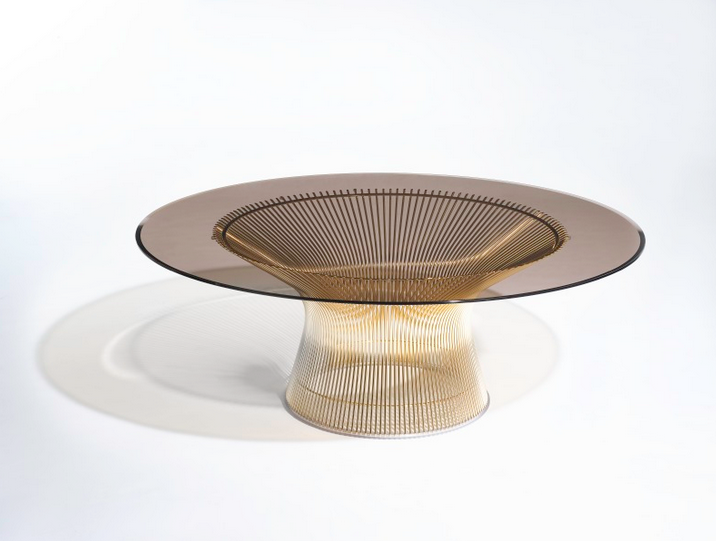 Now, Knoll has launched a 18-karat gold-plated finish limited edition of the Platner collection for the 50th anniversary of the iconic furniture. All of the pieces, with the exception of the Easy Chair, will be available with the special finish. Not only is this special collection a perfect way to celebrate the line’s golden anniversary, but it also is the fulfillment of the designer’s original desires. 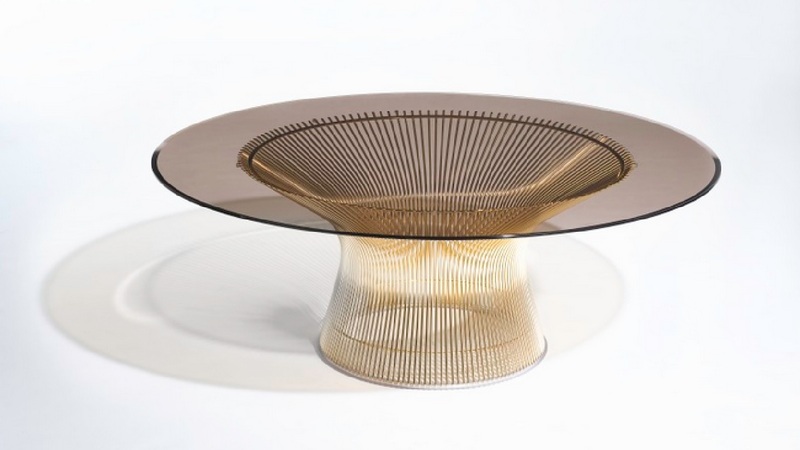 Platner passed away in 2006 but his furnishings are now timeless modern classics.